Archadeck of Austin Delivers the Deck of Your Dreams! 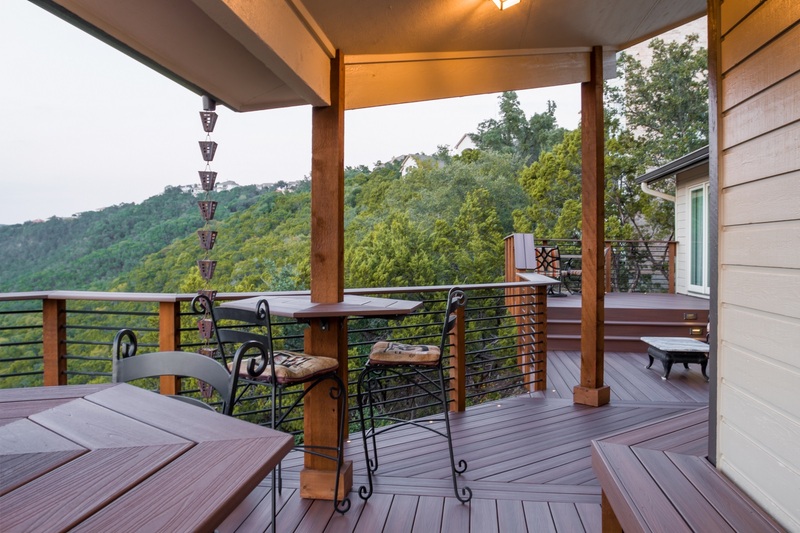 Locally owned & operated, Archadeck of Austin has been designing and building custom, one-of-a-kind decks in central Texas and the Texas hill country for over 17 years. We bring you the commitment to quality and personal customer care of a local business, with the expertise and knowledge of an international design & build firm. 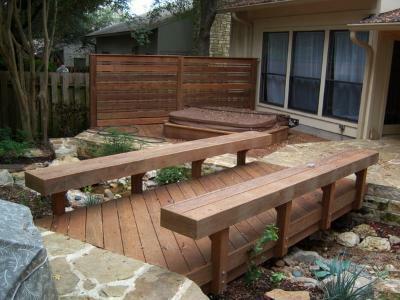 We’ve built thousands of decks all around the Austin area and look forward to building thousands more. Building a deck is not as simple as it used to be. 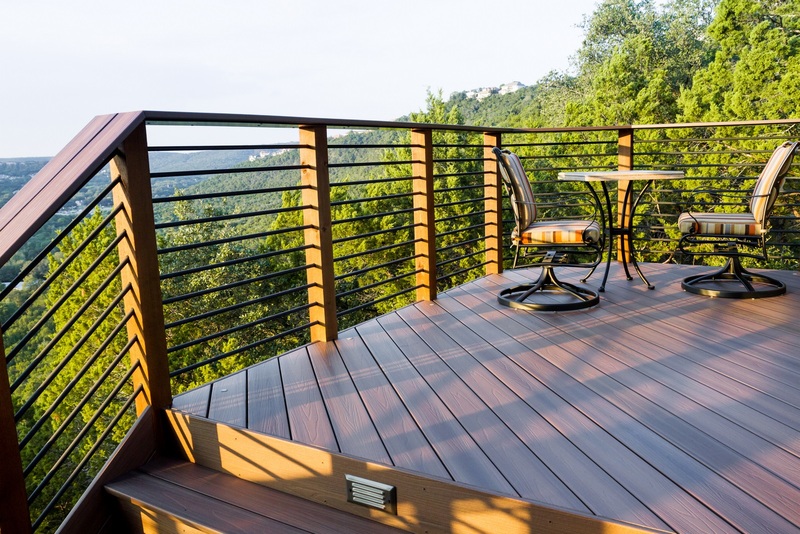 With advances in engineering and design, and improvements in synthetic decking, there is now a wide variety of material options to choose from. Choosing your decking material and color is the first decision, but there are many more. You must choose the size and shape of the deck, location of the stairs and the railing type and color. To help you through these complicated choices we will use your property & lifestyle as a way to help guide you with our many years of experience. The personal service you get with Archadeck of Austin, a custom design & build firm, is top notch from the first call until well after post construction clean up. Low-maintenance decking (such as AZEK and Timbertech), will never have to be stained or sealed, but it will need occasional cleaning. PVC and composite decking won’t split, crack or warp. Aside from being easy to care for and maintain, design versatility is a huge advantage of synthetic decking. 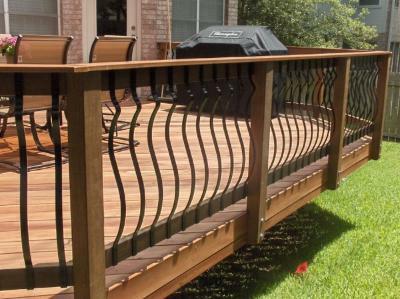 For instance, synthetic decking can be bent and molded for stunning curved picture framing, winding inlays, intricate patterns and creating designs throughout your deck. Low-maintenance decking suppliers provide extensive warranties and stand behind the quality of their product, giving you peace of mind. Archadeck of Austin prides itself on creating truly unique decks. Our decks not only address your specific functionality goal and harmonize with your existing home and landscape, they also turn heads because they just aren’t your typical deck addition. Don’t forget the large choice of accessories and amenities for your new deck. Add tread lights and post lights for nighttime entertaining. We can build custom planters, benches and privacy walls. Add a retractable awning for shade when you want it. Or build a pergola for partial shade and definition of spaces. For added functionality & comfort we can even build an outdoor kitchen, firepit or fireplace right on your new deck. Archadeck of Austin is here to help you build the deck of your dreams loaded with features you never thought possible. Contact us today to learn more at (515) 259-8282 or via email at [email protected]. Wooden decks remain the traditional choice for deck building. Wood is still a beautiful and sturdy choice. We do offer select-grade pressure treated Pine for wooden deck projects. 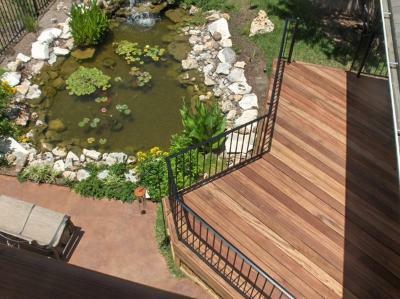 We also offer Cedar, Tigerwood and Ipe, along with other upscale hardwoods for our deck designs. Railing choices are endless and can have a huge effect on the final look of your deck. 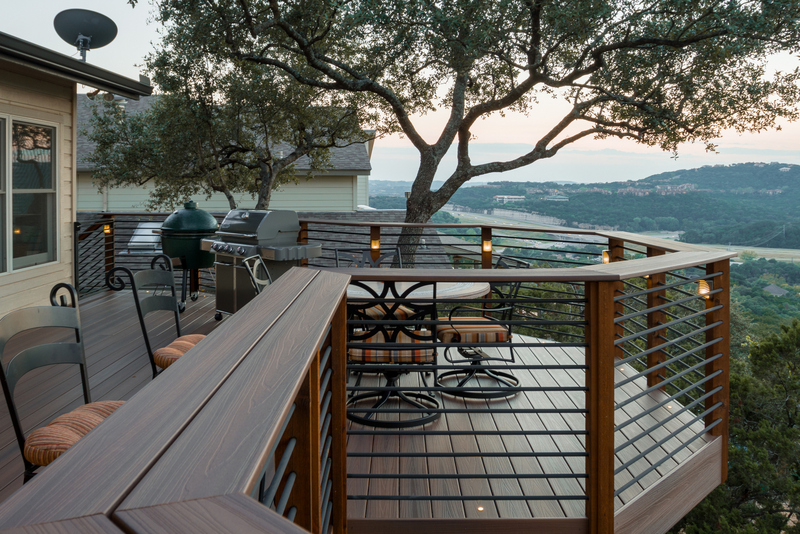 With brands such as Deckorators and Fortress offering materials such as iron, aluminum, metal, cable and glass, Archadeck of Austin can even custom design and fabricate your railings for a truly one-of-a-kind look too!